See more objects with the tag lions, brightly colored, sun, sales, choice, sample book, natural dye, pyramids. This is a Sample book. We acquired it in 1967. Its medium is label: woven cotton samples, leather binding, paper label, brass rivets. It is a part of the Textiles department. 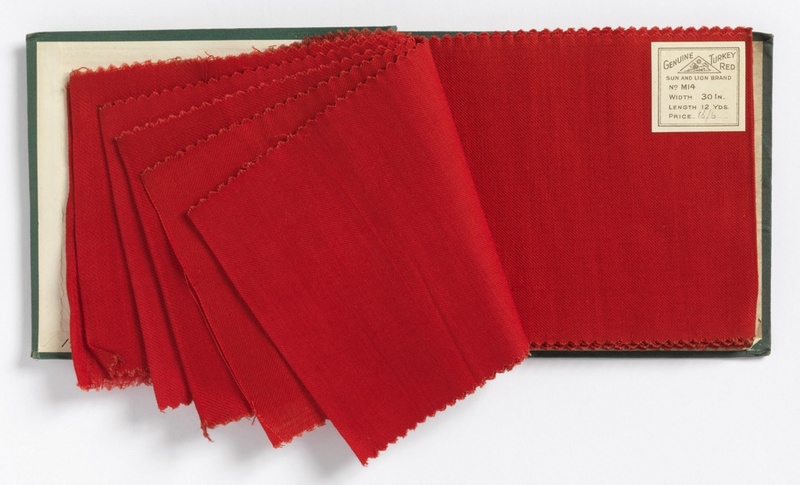 The term Turkey red refers not to a dye, but to a technique for dyeing cotton a brilliant, wash-fast scarlet red, practiced throughout the Ottoman Empire but unknown in Europe. 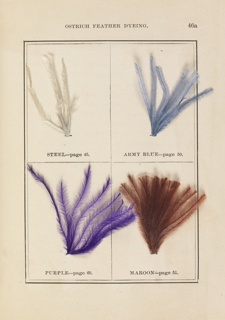 In order to discover the secret process for themselves, textile firms in England and France sent industrial spies to Turkey and Greece, or imported master dyers and established them at their workshops. The process was labor-intensive and difficult, requiring 15 to 20 steps, including multiple baths in lye, potash, sheep dung, ox blood, and rancid olive oil. 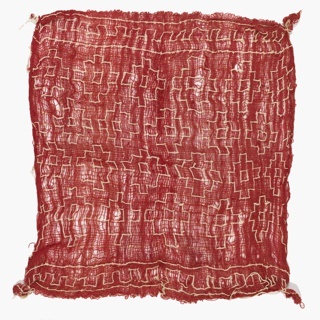 The technique was not adaptable to calico printing, and could only be used for dyeing yarns, or, with some difficulty, whole cloth. 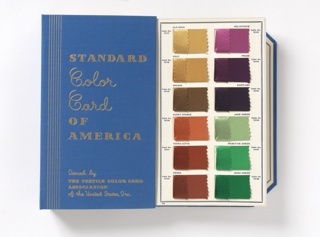 This sample book contains twenty-eight solid red samples of varying weights of cotton cloth, from batiste to canvas. This object was featured in our Object of the Day series in a post titled Industrial Espionage. This object was donated by Harvey Smith. brush and gouache on white wove paper. 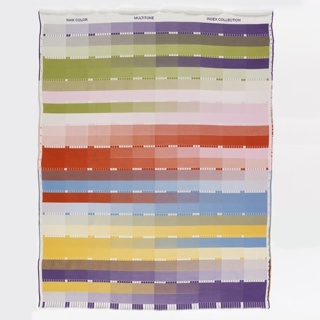 organic cotton warp, merino wool weft. label: board covers, printed cardboard pages, silk samples. H x W: 21 x 16.5 cm (8 1/4 x 6 1/2 in.). Museum purchase through gift of Jaques Séligmann. 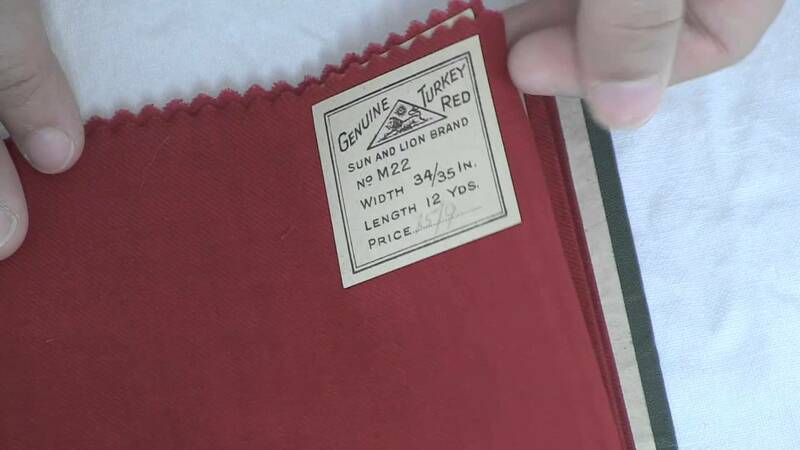 We have 1 video that features Sample Book, Genuine Turkey Red. 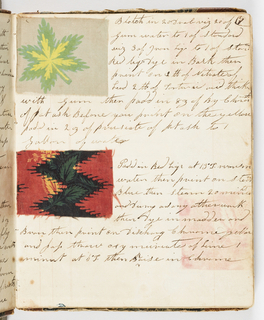 Demonstration of the Turkey Red Sample Book being opened, closed, and pages turned.